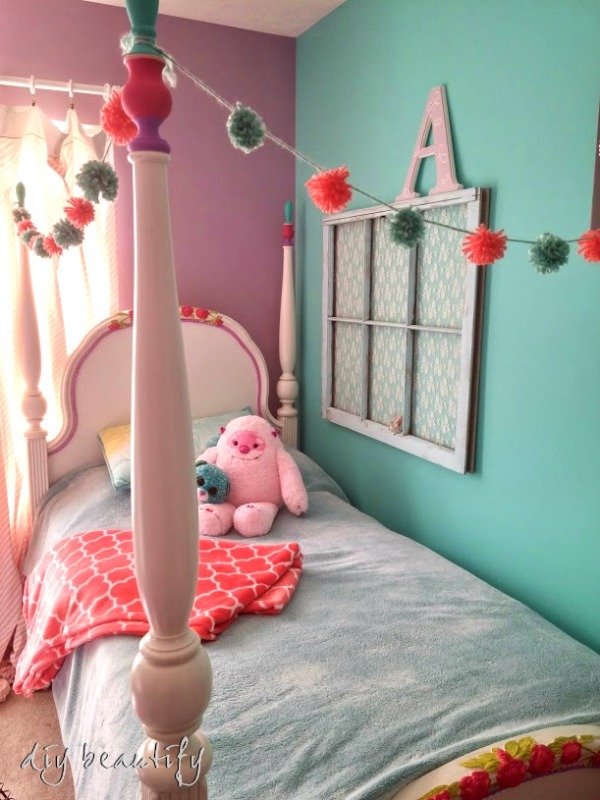 I love to help make my daughter's room colorful, cozy and filled with delightful things. We've been on a pom-pom making kick...I taught Little DIY (that's my 10-year old) to make them, and together we've made dozens of pom poms. 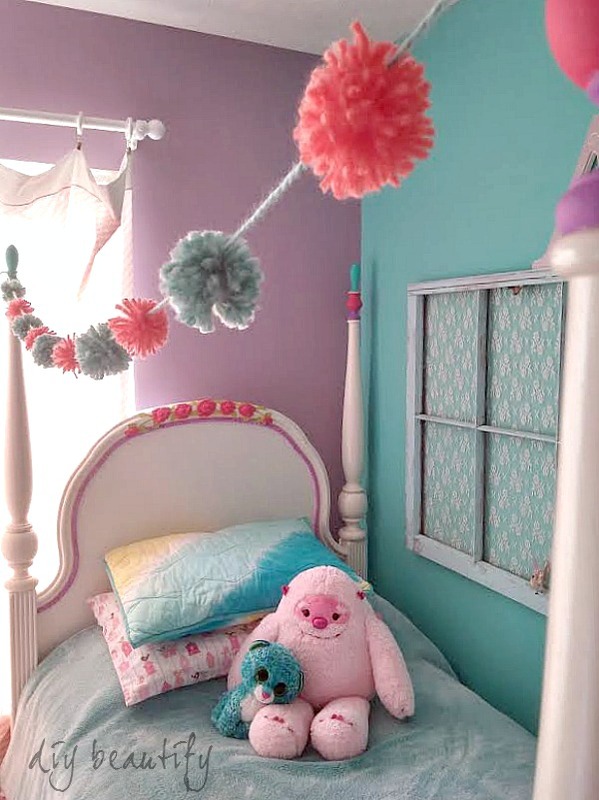 We are both crazy about the pom pom garland I made for her bedroom. It's just SO cute! And you won't believe how easy it is! This post contains affiliate links (*); please click here for my full Disclosure Policy. A lot of people think the only way to make pom poms is by using a pom pom maker*. You can certainly use one if you wish. But I'm here today to tell you that it's not necessary. you don't need any special tools or gadgets...you can make adorable, fluffy pom poms using just your fingers! It's so easy to do....you and your favorite little peep can make a bunch too! Easy Pom Pom Tutorial - no special tools needed! 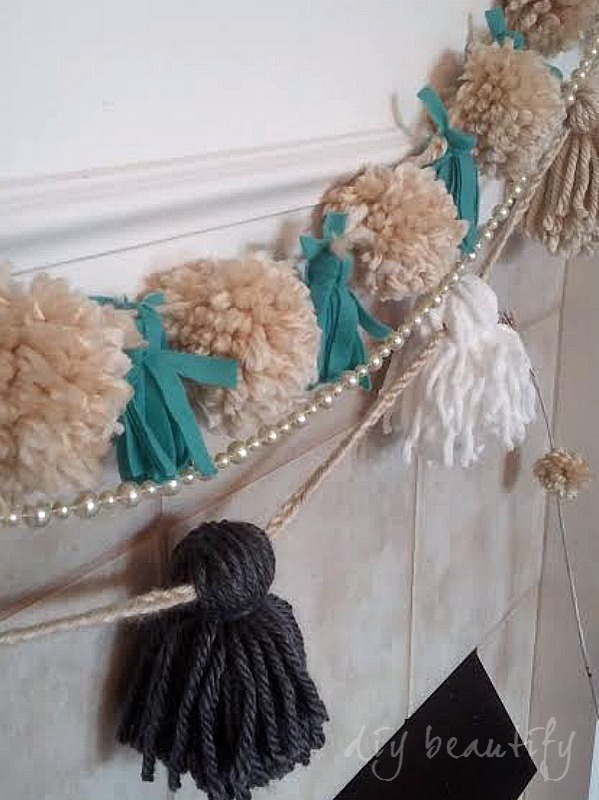 Once you have a pile of pom poms, you can tie them around a long piece of yarn for a DIY pom pom garland! 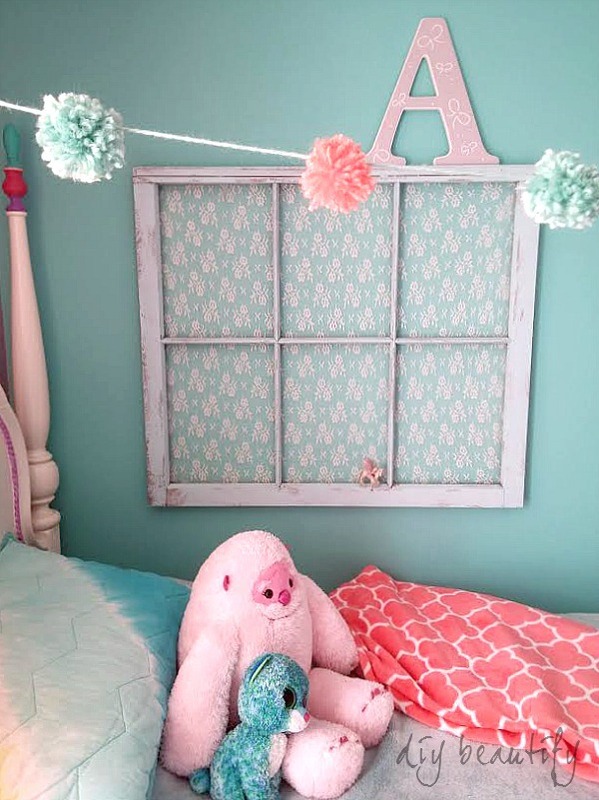 We simply tied our garlands around the bed posts for a super-cute look. This coral yarn* is a perfect match for Little DIY's chevron-striped nightstand, which she helped paint. We found our yarn at Hobby Lobby and Walmart. My daughter's bed has become a magical place, made even more cozy because of soft and fluffy blankets. Last winter I transformed an old comforter into a cozy bedspread for my little peep. It was an easy and inexpensive project that has snuggly results! You really cannot have enough pom poms! Trust me, if you make them, you will find a way to use them...and not just in your kids rooms! 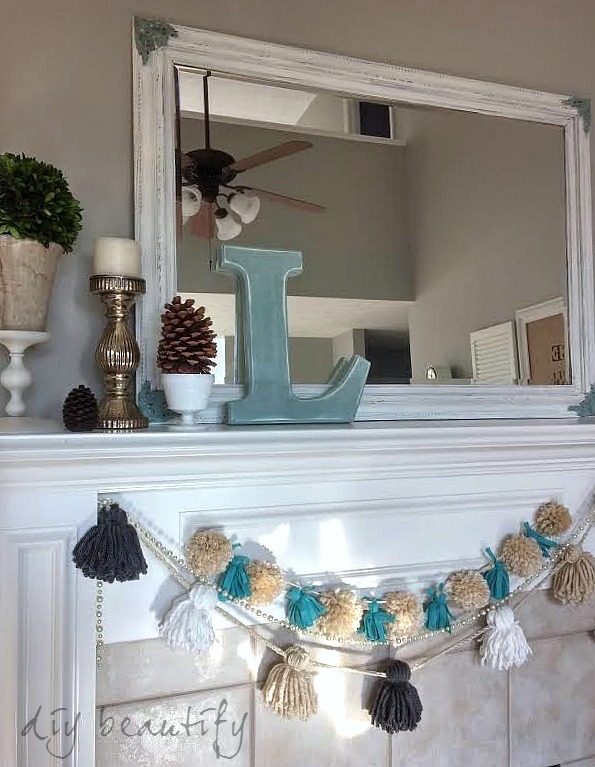 Why not a pretty pom pom garland for your mantle? 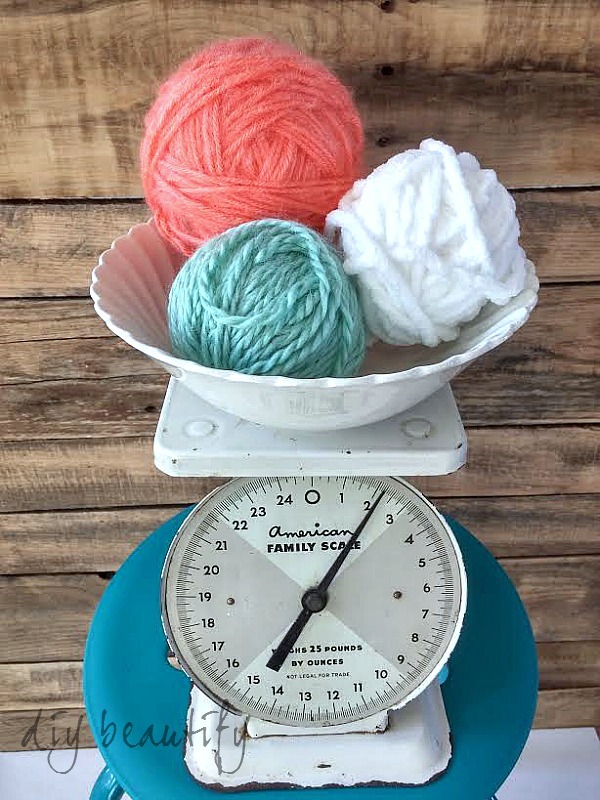 When you finish making pom poms, display your yarn balls in a bowl! They're too pretty to hide away! Who's ready to make some pom poms? Let me know in the comments section if you'd like my tutorial for the yarn tassels that you see in the above pictures. We do Christy, she's a little mini me! I think my sons would be happy in a cave ;) Thanks for visiting!! These are so cute! I love them in your daughter's room! Thank you for the tutorial! You are so welcome!! 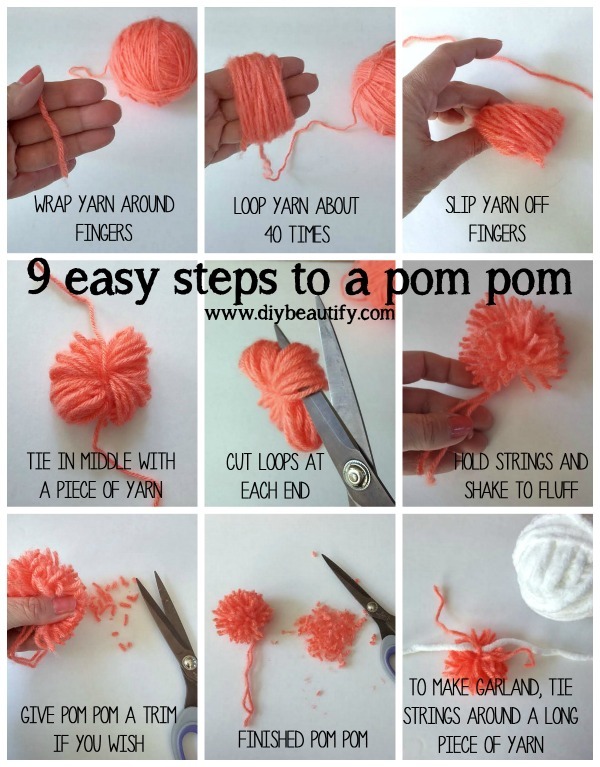 I hope you found the tutorial easy, and make yourself a bunch of pom poms too! Wow! Your tutorial is fantastic! I think, with your instructions, even I can conquer these pom-poms. Will be trying it out soon. Found you via the Pretty Pintastic Party link up. 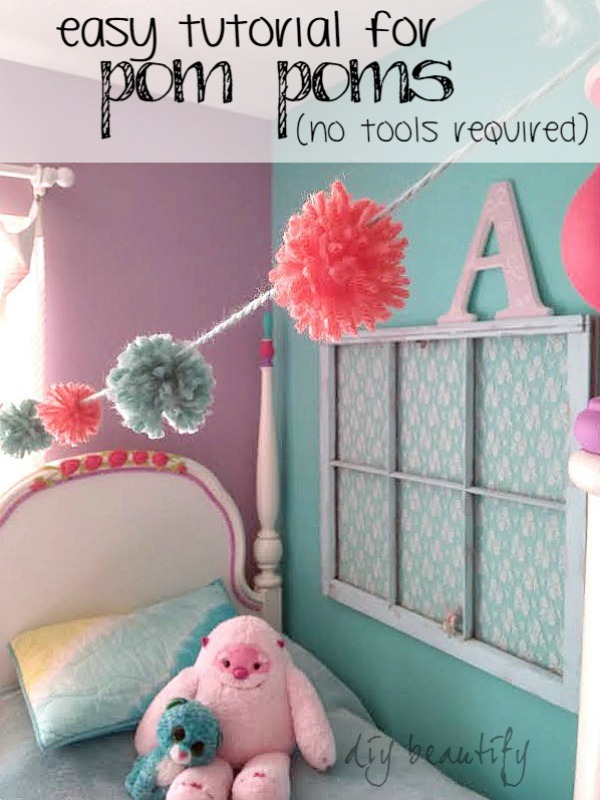 Those pom poms are really cute, great stuff to make especially with your young kid. I would love to see the tutorial for the yarn tassels also! Adorbs!